Need to easily share data across apps? Take your project management to the next level with our third party integrations. Choose from QuickBooks Online, Google Drive, Basecamp, Slack, and more. Connect your QuickBooks Online account and copy your Intervals invoices to the popular online accounting service. To get started, click to view an invoice and then click the QuickBooks icon in the upper right corner. QuickBooks can also be connected under Options -> Settings & Defaults -> QuickBooks. 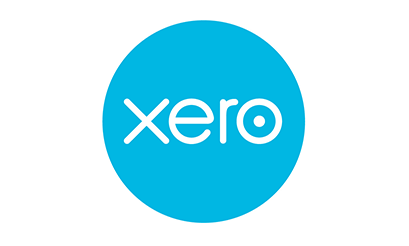 Export invoices from Intervals and import them in to Xero, The online accounting software alternative to QuickBooks. Save time by importing Intervals invoices into Xero rather than having to recreate each one. To get started, click to view an invoice and save it as a Xero formatted CSV file by clicking on the Xero icon. Easily sync Intervals invoices with FreshBooks, the popular cloud accounting platform. Track your time and manage your work in Intervals and easily get your invoices into FreshBooks where you can manage them and send them to your clients. To get started, click to view an invoice and then click on the export icon and selecting FreshBooks from the menu. If you use QuickBooks and Intervals you can export IIF files from your Intervals time data via timesheets or reports. Import your time data into QuickBooks to generate invoices, run reports, and do payroll. To utilize the functionality QBTimer must be installed in QuickBooks and your Intervals account must be configured under Options -> Settings & Defaults -> QuickBooks. This is our most popular and widely used integration. Integrate incoming work requests with Slack, the popular messaging app. When a new work request shows up in your request queue, Intervals will notify your Slack room. The new message becomes part of your chat history, where you can discuss it with your team, and click on the link to view more details and assign the request as a task. Already sharing documents with your team in the cloud? Attach your Google Drive documents to projects, milestones, and tasks — ensuring your team has the most current documentation needed to complete their work. Use Google's built-in file sharing permissions to decide which team members can access each document. Basecamp is one of the most popular web-based project management tools. Intervals can import all or some of your Basecamp projects, people and to-dos. Outgrowing Basecamp? Copy over your data and give Intervals a try.